Metalheads, as a lot, tend to be some the most cynical people on the planet, but we are often willing to believe some amazingly suspect information. Get a roomful of bangers together and most of them will agree that the government, in league with a group of rancorous aliens who crashed in New Mexico, are conspiring to enslave the human race and force us to listen to Black Eyed Peas records until our ears bleed. What can be said of a group that seems to have a universal distrust Christianity but believe strongly in the existence of Satan? We tend to be suspicious of any sort of authority structure, but have complete faith in strangers who happen to arrange a series of musical notes in a way that makes us want to run into each other screaming “KILL!!!!”. In short, we are a group that is susceptible to getting caught up in some bizarre rumors. The story goes something like this…A bunch of frustrated med students dropped out of college moments away from becoming doctors. They took their wealth of medical training and used it to write a series of revolting metal albums in the late 80s and early 90s. These albums, which featured songs with catchy titles like “Swarming Vulgar Mass of Infected Virulency” and “Cadaveric Incubator of Endoparasites”, must have been penned by people with an acute understanding of human anatomy, the type of understanding that could only be gained by hours of study at a medical college. It’s a great story and it actually makes some sense but it is completely untrue. 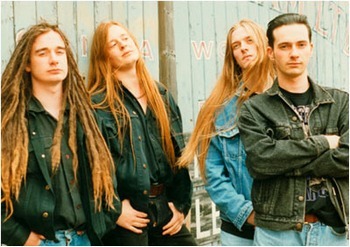 Carcass are, in fact, brilliant musicians with highly overdeveloped vocabularies and no medical training whatsoever. This didn’t stop a friend of mine, years back, from sending a letter to the band offering to allow them to remove his spleen onstage. 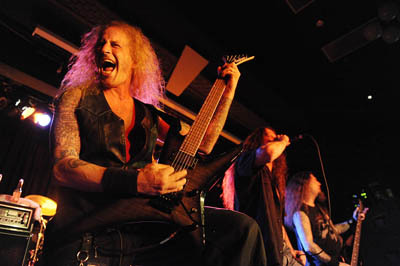 The saga of Phil Fasciana, guitarist from the band Malevolent Creation, and his heroic killing of a “80-pound homeless crackhead” Kwik E Mart robber gripped the metal world back in 2009. Apparently, Phil stumbled in looking to buy some chocolate milk and was shot at by the thief. In a scene that seems right out of a bad Don “The Dragon” Wilson action flick (because it probably was), Phil tackled the bad guy and wrestled his gun away. But this cagey crackhead reached for his hideout piece located, in of all places, his sock. Phil was forced to fire on the guy and kill him. There were more holes in the story than in the USS Bismarck. The poor, desperate homeless guy with enough money for two guns. The lack of a murder weapon, a dead body or a witness. Days afterwards, the police confirmed the story was complete nonsense. This didn’t stop a good number of metalheads, myself in particular, from running wild with this fable. 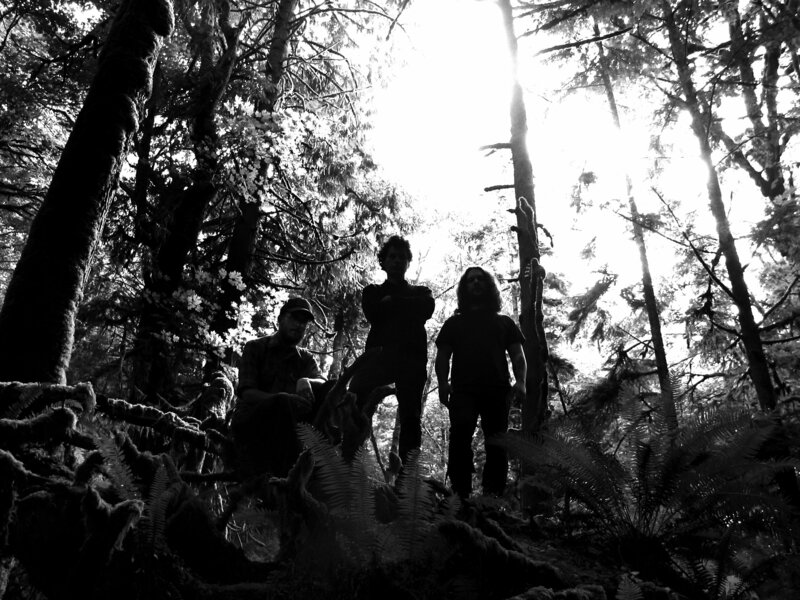 Wolves in the Throne Room are just your average Rudolph Steiner reading, eco-anarchist black metal band. Over the years, they have rightfully gained a reputation for being somewhat eclectic. This, however, does not mean they live in a cave. Nearly every description I heard about the band went like this “They sound like ____________________ and they remind me of ______________________ and, get this, they live in a cave.” In fairness, they do look like they live in a cave, but so do 2/3rds of the metalheads under the age of 25. They live on an organic farm. There are clear structural differences between a cave and a farm that I shouldn’t have to explain. Death rumors are a favorite among metalheads. 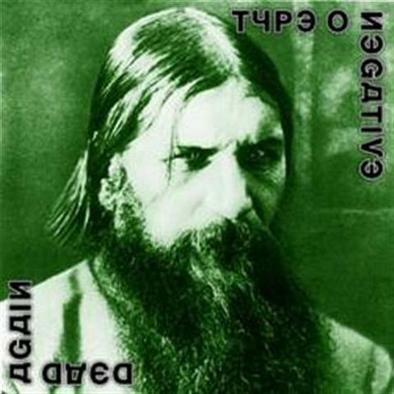 Back in 2005, Type O Negative pulled off the ultimate hoax when they convinced the world that singer Peter Steele had died. This became quite confusing when Steele actually died last year. Was he really dead this time? Would he rise on the second day as some sort of ironic, Easter-themed publicity stunt? The last album was named Dead Again for gosh sakes! And Rasputin was on the cover. That zany Russian died something like 28 times and kept coming back! This had to be some sick joke. Unfortunately, it was not and Steele has not risen…yet.